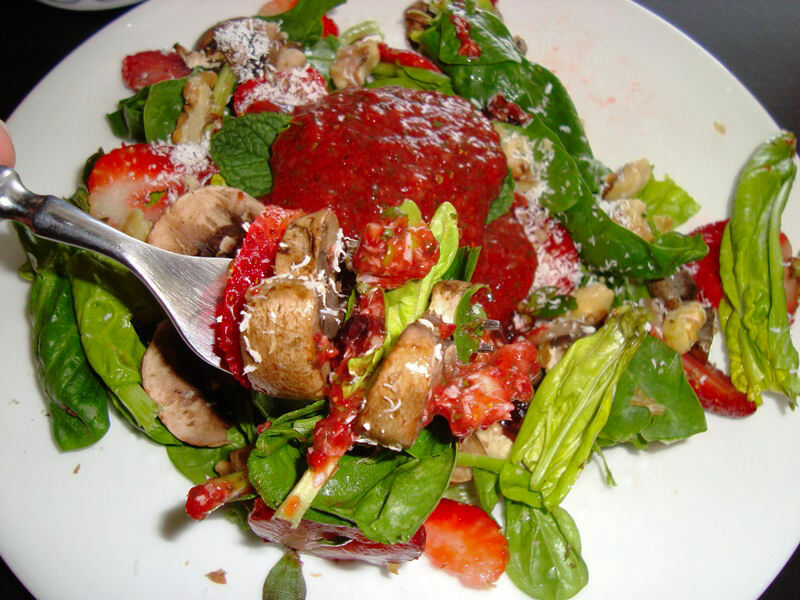 This is one of my favorite salads ever, and definitely my favorite raw vegan dressing! 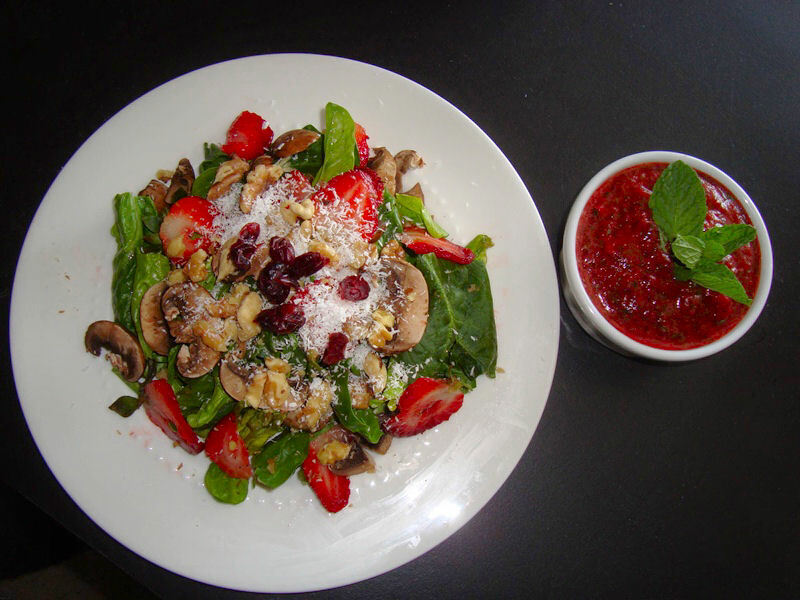 This salad is salt free, fat free, oil free and bursting with fresh, rich, fruity flavors! 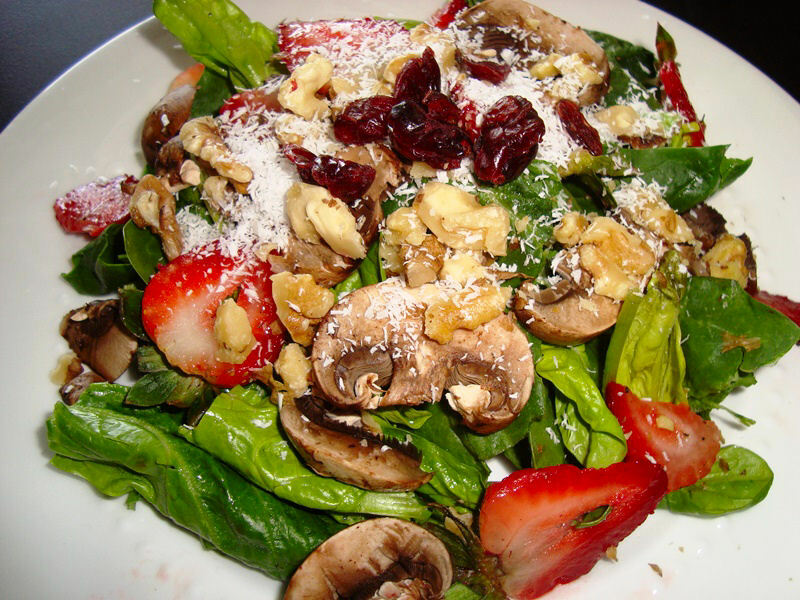 Your salad should look something like this! So beautiful! And that’s about it! 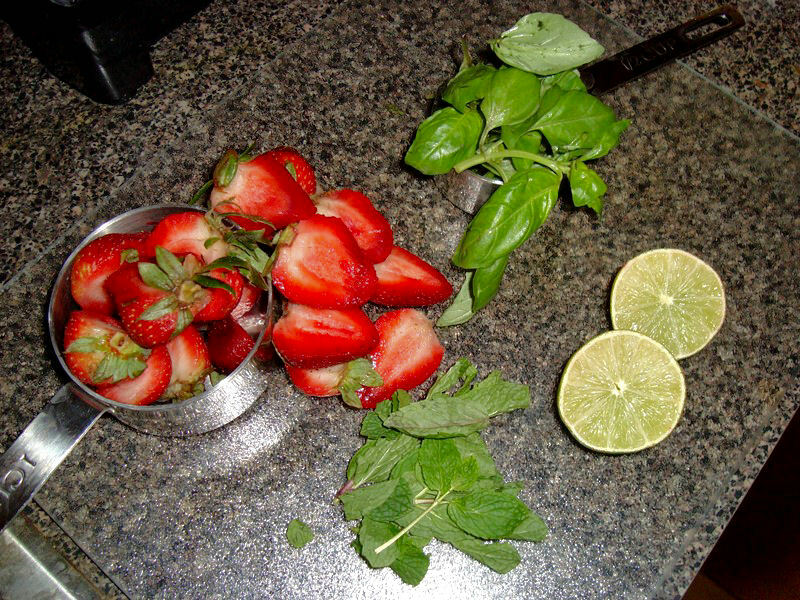 Take your dish of strawberry basil mint dressing, and add it to your salad! This is seriously the best salad you will ever eat! 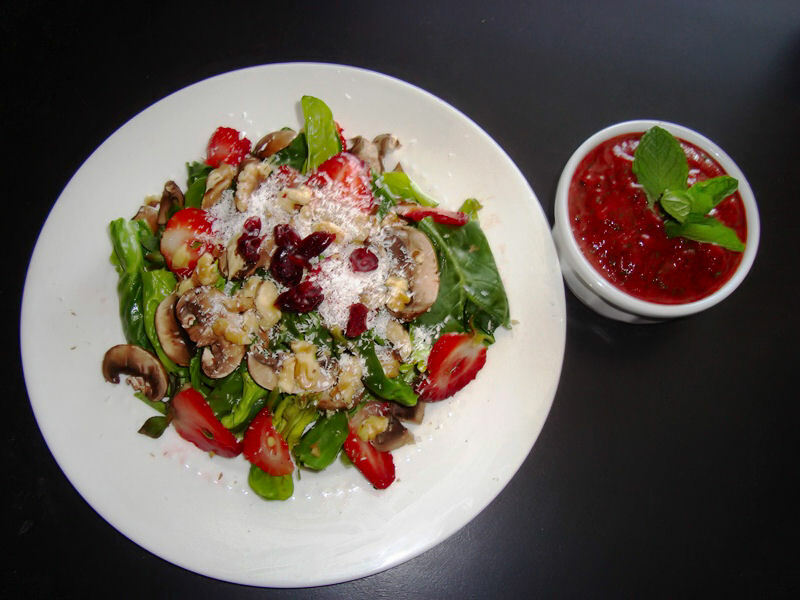 Pour your dressing over the salad, and dig in! 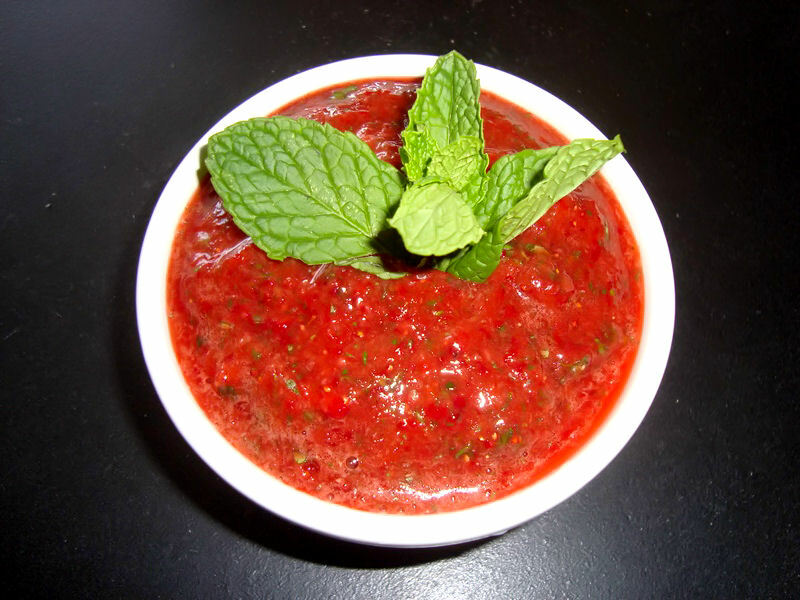 You can put all the dressing in the salad, eat it plain or save some for later! That’s the beauty of this dressing, no fat whatsoever, only pure, fresh, lemony, fruity goodness!